Welcome to 1S. Your class teacher is Mrs Seiffert. In Geography we are finding out about our local area. We went for a walk in the environment around our school. We took observation sheets with us so we could make a note of things we saw. We continued our Geography fieldwork by going out into our local environment to conduct a traffic survey. We observed the different types of vehicles which passed us and recorded the information using a tally chart. During our Design Technology week children in Year 1 planned, designed and made their own moving vehicles. 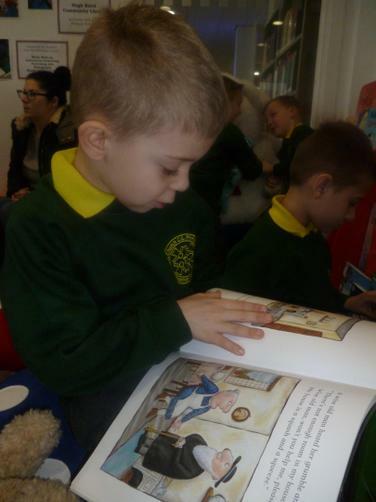 To celebrate World Book Day we all brought our favourite book into school. Throughout the day we took time to read our books, share our books with our friends and tell each other why we like our books. 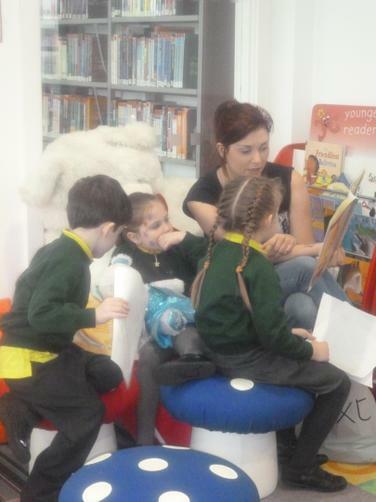 We also took a visit into the 'Reading Bubble' It was lovely and calm in here with soothing music and fairy lights. We enjoyed a storytime in here and read different books. We also decorated our classroom door like the front cover of our class favourite book. 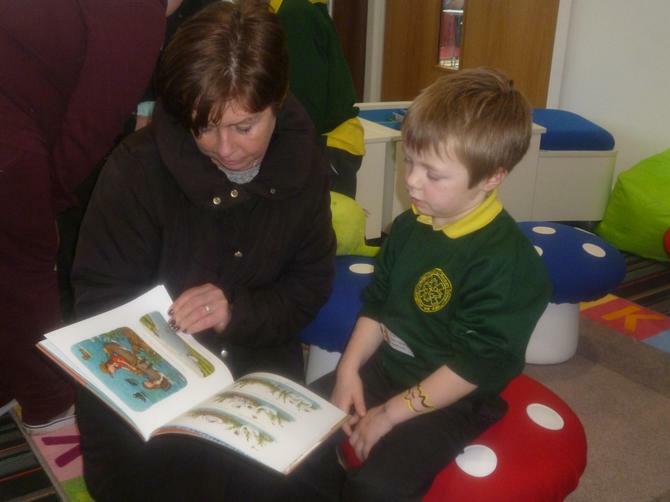 The children in 1S voted for their favourite book - the winning front cover was 'The Gruffalo' by Julia Donaldson. 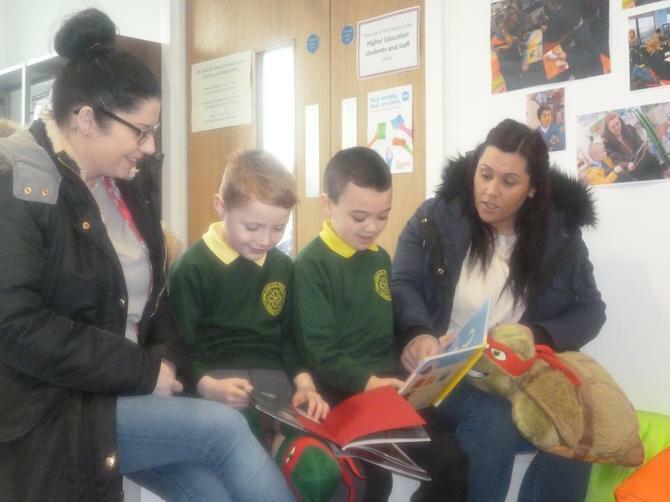 We invited our families to join us on our visit to the Community Library at Hugh Baird College. We read books together and talked about our favourite stories. 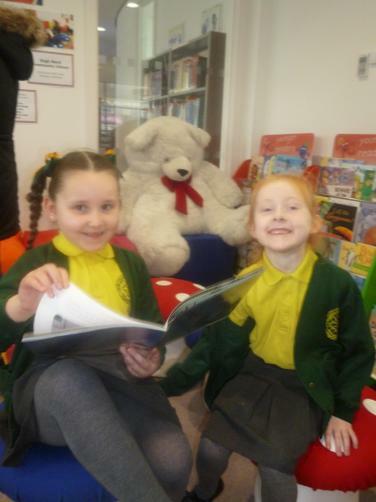 We also took our teddy bears there for a sleepover - we left them in the library overnight and the next day we saw photos of what our teddies got up to! Please scroll down to have a look at all of the things we have done so far this year. We have been busy! During the Autumn term we did lots of exciting and interesting things to help us to learn. We walked to the park to explore living and non-living things. We took the ipads and used them to take our own photos of examples of things which are living or non-living. 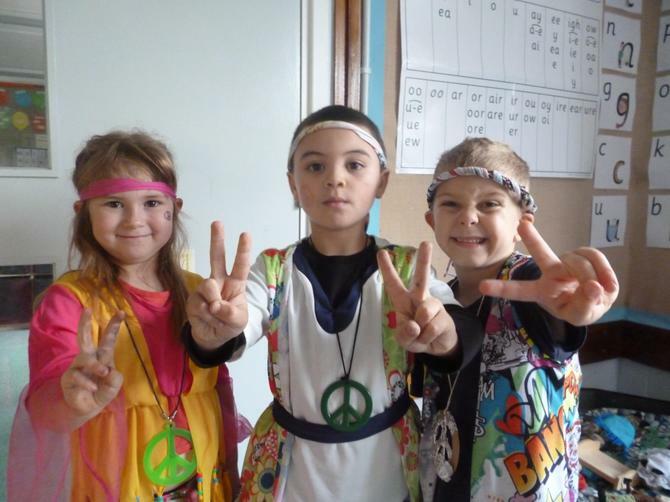 During Art Week each class studied a different artist. In Year 1 we explored the work of Piet Mondrian. His work was characterised by the use of primary colours - red, blue and yellow - with horizontal and vertical lines. Throughout the week, we created our own pictures in the style of Mondrian using paint and paper. It was messy but fun! At the end of the week we celebrated by inviting our families into school to look at our work; and all of the other children's work, which we displayed throughout our school. 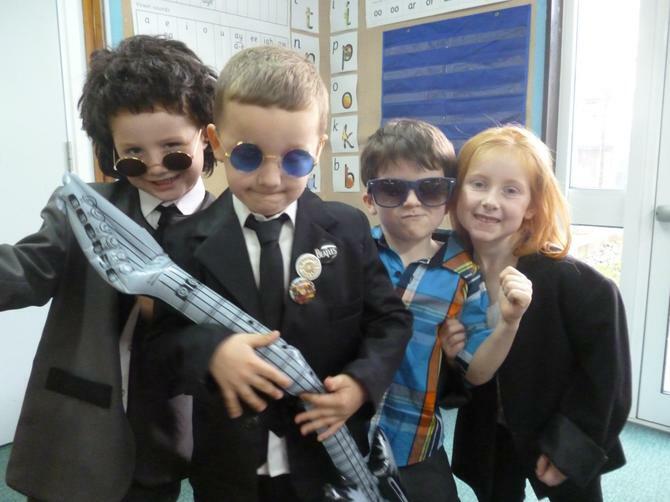 In Year 1 we were exploring old and new, and finding out about The Beatles. We asked the question "Would The Beatles have won 'X Factor'?" 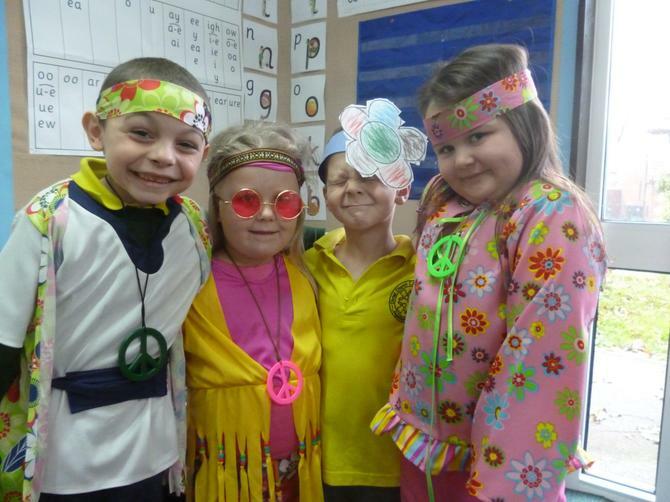 We listened to music by The Beatles and compared it to modern day bands such as One Direction and Little Mix. 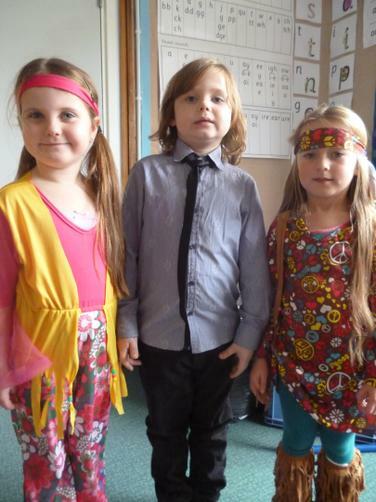 We also explored household artefacts and toys from the sixties and talked about how they are different or the same as those that we have now. 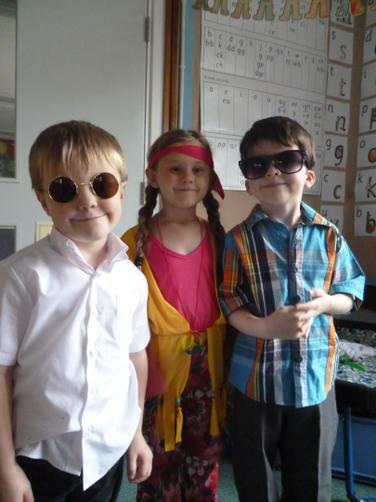 To celebrate our achievements and share the good work that we did, we had a whole school fashion show when each class dressed up from the era they had been studying. 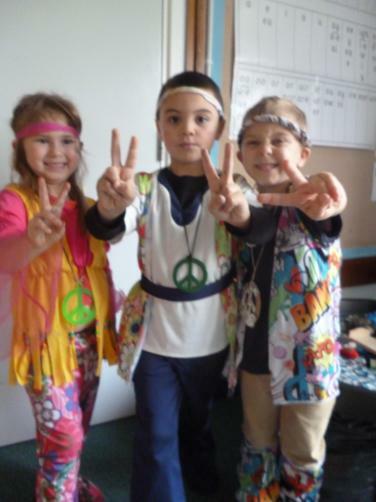 Year 1 dressed up in fashion from the sixties......peace man! At the end of November we went on a very special trip. First we went to St Georges Hall in Liverpool to find out "What is the secret at Christmas?". We were led on a trail around the building, exploring rooms and using our senses to find out about Christmas.....Is it about writing Christmas cards?.....giving presents?.....pantomimes?.....Christmas dinner? At the end of the trail we found the stable where baby Jesus was born and discovered the true meaning of Christmas. After St Georges Hall we went to another iconic building in Liverpool and explored Liverpool Cathedral.